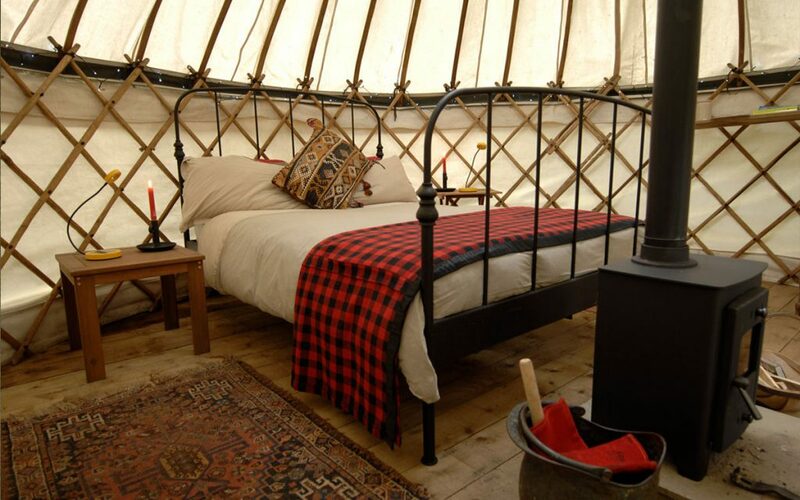 Five yurts and one canvas-roofed rustic cabin nestle within one hundred acres of ancient woodland within a 450-acre Victorian estate inside the South Downs National Park. Adhurst provides stylish, healthy and ecologically-conscious holidays for everyone from family reunions to romantic couples. Holidaying pets, foodies and nature enthusiasts love it here. Each space has its own campfire area and wood-burner and even its own safari kitchen.